Almost half of all reported TBI’s, Traumatic Brain Injuries, are the result of a car accident. Talk to a Lawyer for Free 24/7 at (314) 361-4242! Traumatic brain injuries (TBI) are responsible for a number of deaths and permanent disability cases each year. Over half of these traumatic brain injury cases are attributed to car accidents. Many TBI’s are mild, causing concussions. While other TBI survivors face life-changing effects that leave them disabled. A traumatic brain injury is a head injury that disrupts the normal function of the brain. TBI is caused by a blow, bump, or jolt to the head and can also be the result of a penetrating head injury. In a car accident, trauma to the brain can occur if the skull hits something inside the car, such as a windshield or steering wheel. There may or may not be an open wound to the skull. In other auto accident cases, the sheer force of the vehicle being hit can cause the brain to strike the inside of the skull. This can happen if a head that is moving stops too quickly. This type of car accident injury can cause a contusion or bruising of the brain, and brain hemorrhage, or bleeding in the brain. When injuries like this occur, there may or may not be visible signs at the time of injury. According to the Mayo Clinic, there is a wide range of physical and psychological effects of a traumatic brain injury. There may be immediate signs and symptoms, while others may take days or weeks to appear. TBI’s can be placed into two categories, mild traumatic brain injuries and moderate to severe traumatic brain injuries. In addition, a person may experience sensory symptoms such as ringing in the ears, blurred vision, bad taste in the mouth, or changes in smell. Mental or cognitive symptoms can include problems with memory or concentration. Changes in mood and depression or anxiety. 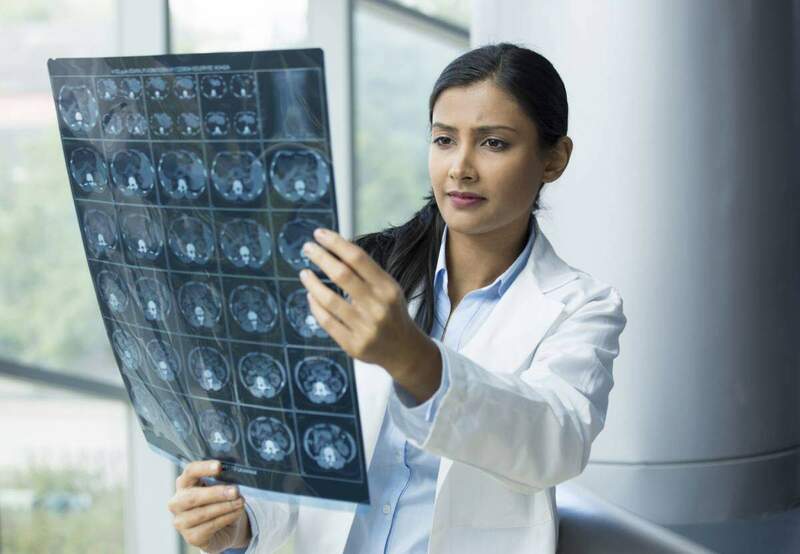 If a car accident victim suffers a moderate to severe traumatic brain injury, they may have any of the signs and symptoms mentioned above, as well as the following. Again, it may take a few hours or even days for some of these to appear. If you are involved in an auto accident and suffer any type of head injury, seek immediate medical care. Even a mild traumatic brain injury needs prompt medical attention. Additionally, if you wait to have a head injury looked at, the injury to the brain can become worse. It is estimated that 50,000 people die each year from traumatic brain injuries, while an additional 230,000 are hospitalized for TBI’s. Of those that survive, an estimated 90,000 suffer long-term disabilities from their injury. Car accidents are one of the leading causes of traumatic brain injuries. While not all TBI’s are equally as serious, a head injury should be examined by a doctor. However, it is important to note that TBI’s are not always initially diagnosed as such. So if you or a loved one are in a car accident but begin to experience any TBI symptoms at a later time, contact your health care professional. If you or a loved one have suffered a TBI in a car accident due to another’s reckless or negligent behavior, this may result in medical bills, lost wages, lost earning potential, and long-term medical treatment. At The Hoffmann Law Firm, L.L.C., our attorneys will help you understand your legal options and the best strategies for full and fair compensation from an auto accident or truck accident claim. If you or someone you love has been involved in a car accident, you no doubt have questions and concerns. Call us today at (314) 361-4242 to schedule your free initial consultation. You will speak with an experienced car injury attorney, and you will not pay any attorney fees unless we recover compensation for you.